Impress your guests and ensure event security with custom event tickets from Printing by Johnson! We offer classic black & white – or stunning color – ticket printing to match your event’s theme and convey your event’s important details. Bar-coding, holograms and micro-text security images are just a few of the options we also offer to prevent counterfeiting. Raffle tickets are a fast and effective way to raise funds for your organization. 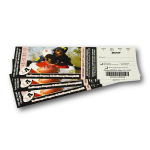 Impress your guests and ensure raffle security with custom raffle tickets from Printing by Johnson! 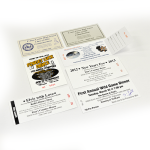 We offer black & white or color ticket printing to match your event’s theme and convey your event’s important details.